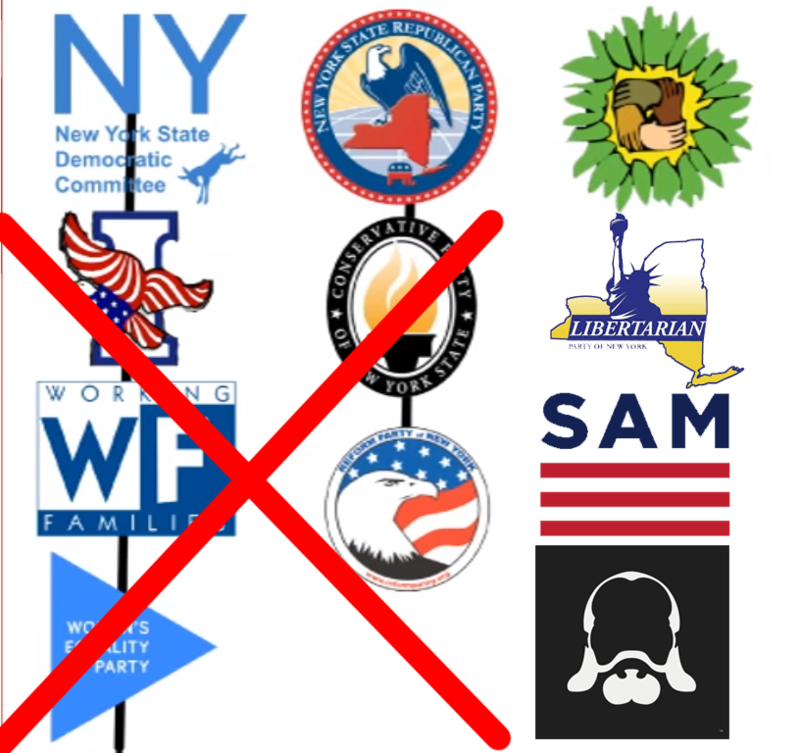 This entry was posted in Green Party, Libertarian Party, Non-left/right parties, Right-wing minor parties, Socialist/left parties, Third parties, general and tagged Conservative Party of New York, fusion voting, New York, New York Green Party, Women's Equality Party, Working Families Party on March 6, 2019 by Fernando Mercado. This entry was posted in Green Party and tagged 2018, 2018 elections, New York, Rochester on March 23, 2018 by David Doonan. This entry was posted in Green Party, Non-left/right parties and tagged Ben Walsh, mayor, New York, Syracuse on November 8, 2017 by Jonathan Makeley. This entry was posted in Green Party, Non-left/right parties, Socialist/left parties and tagged Ben Walsh, New York, Syracuse on November 6, 2017 by Jonathan Makeley. This entry was posted in Non-left/right parties and tagged donald trump, Ivanka Trump, New York, Reform Party, Reform Party of New York on July 21, 2016 by William Saturn.